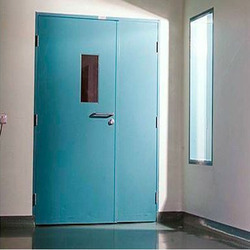 Offering you a complete choice of products which include fire rated metal door, powder coated fire doors, fire rated exit doors, fire rated cell core steel doors, fire rated mincore steel doors and honeycomb fire rated door. 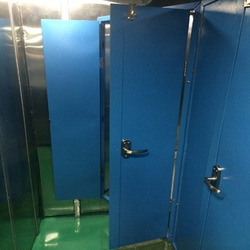 With the help of our diligent professionals, we have established ourselves as a leading manufacturer, supplier, and exporter of Fire Rated Metal Door. 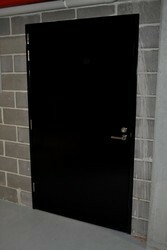 We design & manufacture many types of 4 Hour Fire Doors/Powder Coated Fire Doors accredited to BS 476 part 22 Standards. 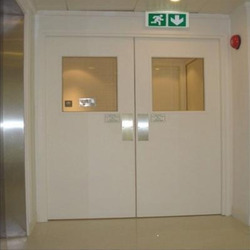 Keeping in mind the exact requirements of the clients, we manufactured the Fire Rated Exit Doors with the superior-grade raw material. Our esteemed clients can avail from us a wide range of Fire Rated Cell Core Steel Doors which are designed with the fire resistive material. 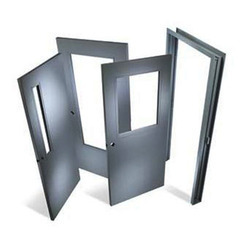 Aiming at the maximum level of client satisfaction, we have been involved in manufacturing, supplying and exporting of a quality range of Fire Rated Mincore Steel Doors. 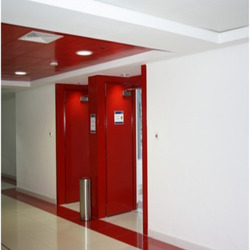 We are manufacture durable Honeycomb Fire Rated Door which we are extremely famous in the markets. 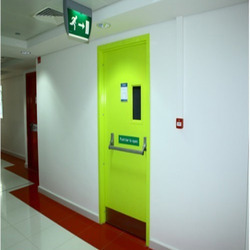 Aiming at the highest level of patron-satisfaction, we are providing them an exclusive array of Fire Rated Steel Doors. 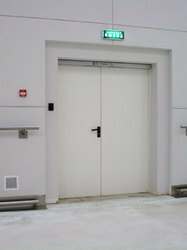 Our most valued patrons can get a wide range of Fire Rated Shaft Doors from our firm. 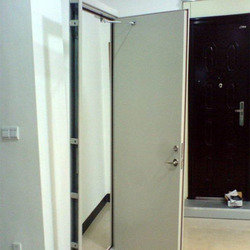 1.0 mm galvanized steel sheet for with vertical interlock seems and reinforced by the top, bottom channels, 46 mm thick. 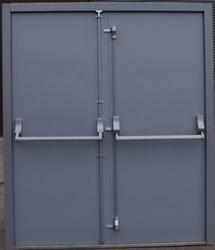 Looking for Fire Rated Steel Doors ?